Summon a stone accessories Aidia tribes began using stone Summon when the level cap to 65, which requires the skill to make the Summon Wind of Enchantment various levels. It can run in which the stone stone Summon Summon each category is based on the level of skill as well. - High levels of skill: 15. 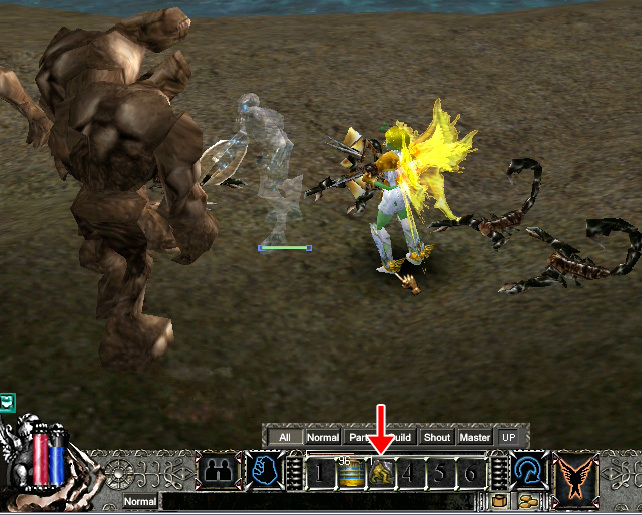 When a level of up to 140 Aidia skill Obedience allowing monsters to summon strength. Summon that calls can be made longer and also improving health and attack power of Summon it. - The highest level of skill: 10. And the level cap to 175 Aidia be up to the skill Summon Flower Blossom Flower monsters come out and attack. By the attacks that are based on the damage of the caller. Summon Monster building that resembles a large flower. Summoned to attack Performance will vary depending on location of Summon called out. - The highest level of skill: 25. Stone Summon each will have two types of regular and Super. White Tiger Summon Stone ** (can be bought from NPC). : Time running out for 500 seconds. : Expertise in use (smart) 100.
: Atk / 80 Def. : Time running out for 1000 seconds. Chmero Summon Stone ** (can be bought from NPC). : Time running out for 400 seconds. : Atk / 100 Def. : Time running out for 300 seconds. : Atk / 300 Def. : Time running out for 1200 seconds. : Atk / 500 Def. : Time running out for 1300 seconds. : Time running out for 3000 seconds. : Atk / 900 Def. : Time running out for 3500 seconds. : Atk / 800 Def. : Will increase the attack power of 10%. : Will increase the attack power of 20%. : Atk / 1040 Def. Nependes Flower ** (purchased from NPC Shilon, Paros, Genus Lab). : Will increase the attack power of 5%. Hiyasins Flower ** (purchased from NPC Genus Lab). Summon the stone that we want to use. Into any channel in the Quick Slot and press to run. Summon during which we call out for help in the fight. We can see the life of its Summon as well.